Here’s a list of emerging destinations in Thailand, suggested by the Thai Tourism Minister Weerasak Kowsurat in his speech at the recently concluded ITB Berlin 2019. “These cities will also focus on responsible tourism in order to make these areas and tourist attractions sustainable, as well as preserve their own local identity,” he said. Chiang Rai: The amazing rescue of the Wild Boars team of young footballers at the Tham Luang Cave hit the headlines in June-July 2018. Tham Luang is now becoming a major tourist spot in its own right. The Cave itself is undergoing preparation for the visitors with completion expected by the end of this year. However, tourists can visit the exhibition about the entire mission. There are many interesting tourist attractions around it; for example, at Pang Ha community, visitors will learn about the Karen ethnic group’s wisdom on how to make mulberry paper. Mae Hong Son: This destination is very close to the border with Myanmar, and not far from Chiang Mai. It is characterised by nature and the cultural integration between the Tai Yai ethnic group and Thai people. It is famous for their embroidered woven fabrics. ‘Mae Hong Son Doister CraftStay’ tour focuses on getting tourists to experience the history of the local art and craftwork. 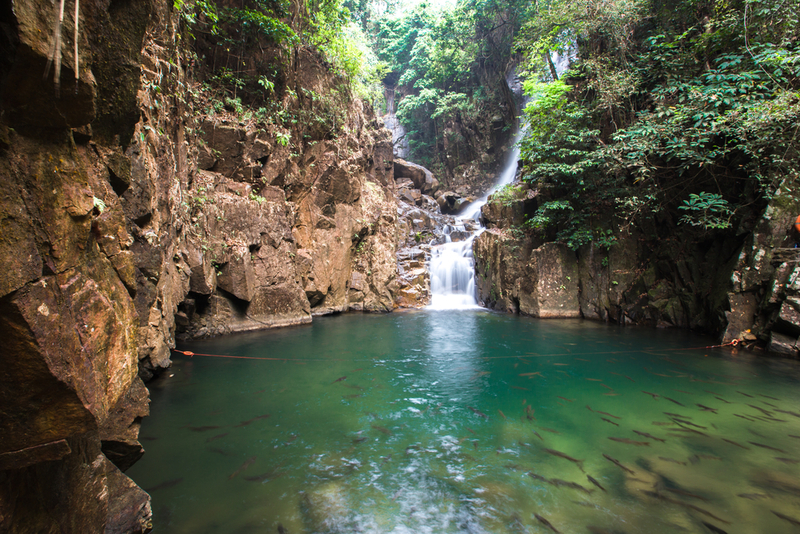 Trang: Located in South Thailand, Trang is known as a ‘foodie haven’ and offers a beach getaway for those who prefer an off-the-beaten track holiday; such as, Ko Muk, and the Emerald Cave. Trang is also recognised as a habitat to the largest group of dugongs, or sea cows in Thailand. At the Ban Nam Rap community, travellers can join us in saving the sea cows by planting sea grass, which is staple food for dugongs. Ranong: Another hidden gem on the Andaman coast that makes a secluded beach getaway; such as, Ko Phayam. The tourism authority will offer organic farm tour on the island that implements the Sufficiency Economy and way of life to manage community-based tourism. Highlight activities include learning how to tap a rubber tree, processing raw cashew nuts into finished products, and collecting vegetables from a farm for cooking. Chanthaburi: Chanthaburi is an emerging tourism city close to the border with Cambodia on our rapidly emerging Eastern Economic Corridor. It is most famous for that well-known fruit, durian. Moreover, Chanthaboon community along the riverside greatly reflects the simplicity of life and how it is well conserved by the locals. When you go there, do make a stop at Baan Luangrajamaitri Historic Inn, which won the Award of Merit in the annual UNESCO Asia-Pacific Awards for Cultural Heritage Conservation. According to the UNESCO, it sparks awareness about heritage conservation and engage over 500 shareholders in investment to restore this 150-year-old building. Furthermore, the ancient markets in Chanthaburi have piloted in promoting the use of straw that is made of lotus stem instead of plastic. 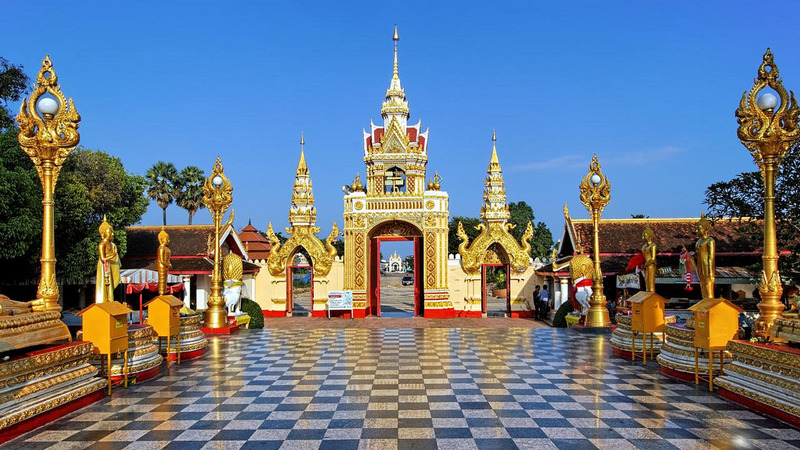 Nakhon Phanom: There is another destination in the Northeastern part of Thailand, which is gaining interest in international markets and is one of the gateways to the Greater Mekong Subregion. Nakhon Phanom borders to Lao PDR and is connected by the third Thai-Lao Friendship Bridge over the Mekong River. If you are a culture venture and enthusiastic cyclist, this province will be a perfect choice that allows you to explore cultures of seven ethnic groups and visit the main city’s most famous stupa, Phrathat Phanom while the cycling experience along the Mekong River makes it one of the country’s most impressive bike routes.